PHOTO: Wild forward Matt Dorsey (at right) fires the shot that put the Wild up 2-1 in the first period Friday night. Wenatchee went on to a 4-3 overtime win over Cowichan Valley. 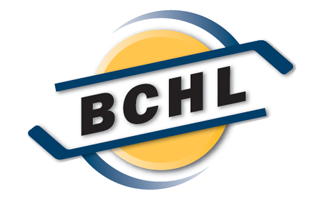 The Wenatchee Wild hopped on one of the BC Ferries on Thursday, headed to Vancouver Island for a three game road swing and began on a positive note Friday night with a 4-3 overtime in Duncan, BC against the Cowichan Valley Capitals. It didn’t start out well. A Wild defenseman lost an edge allowing Capital forward Olivier Gauthier to race into the zone on the right wing where he wired a shot high glove side for a 1-0 lead 19 seconds into the game. Wenatchee converted on a power play chance at 7:22 as PJ Fletcher walked out of the right corner to slide the puck around and behind the Capital netminder to tie the game, assisted by AJ Hodges and Matt Dorsey. Two and a half minutes later, Dorsey blasted a shot from the right circle, fed by Marko Reifenberger from below the goal line and also assisted by Blake Bargar and the Wild led 2-1 at the first intermission. Cowichan Valley, locked in a tight battle with Alberni Valley for the number 4 seed in the Island Division, made the most of their second period chances as first Cruz Cote poked home a mishandled puck to tie the game at 2, then David Melaragni snapped home a wrister on the power play to put the Capitals up 3-2 after 2 periods. The Wild tied the game at 3-3 at the 9:06 mark of the third. Brandon Koch began with the puck deep in his own zone, curled behind his net, chipped the puck past a Capital winger then raced up the left wing. He left the puck for Christophe Fillion after gaining the zone, who slipped it ahead for Cristophe Tellier driving the net. Tellier’s shot was denied but following to collect the rebound was Koch who punched it home on the blocker side. The game was still tied 3-3 after 60 minutes. Each team had chances in the three-on-three overtime session, perhaps none better than a 2-on-0 break for the Wild that couldn’t connect. The final chance came on a play where Murphy Stratton chose to actively pursue the man with the puck rather than defend passively. His action forced a turnover and a 3-on-2 rush. Stratton, skating down the left wing snapped a pass across to Jacob Modry, and Modry pushed a one-touch pass further along for a driving Christophe Fillion who quickly cut to his right and lofted a backhander over the glove and under the crossbar, his 17th goal of the season and a game winner. Wenatchee was outshot 29-28, just the seventh time this season they’ve seen an opponent put up more shots. Austin Park picks up the win with his 26-save night. Wenatchee (28-18-2-4) continues their road swing with a stop in Victoria (31-16-0-4) on Saturday before returning to the Mainland to face Coquitlam (25-23-2-3) Sunday at 3 pm. 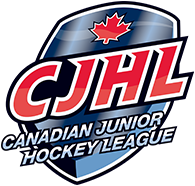 The games will be available for video streaming on HockeyTV, and will be broadcast live both locally and via internet stream on “NewsRadio 560 KPQ”, with the Pregame Shows starting 15 minutes prior to faceoff.